2iC sell licensed software, subscriptions and services, directly and through partners. 2iC’s partners are typically Systems Integrators, Consultancies and Equipment Manufacturers who seek to grow their business and reduce their costs by using modular, open and standards-based architectures to offer the agility that their customers demand. 4Secure delivers Cyber Security awareness, advice, training, hardware and software through an agile secure supply chain. For more than a decade our highly-qualified team have worked with organisations large and small to create secure systems from end to end. The European home of Owl Computing Data Diodes & Data Guards; next-gen Cyber Security cross domain transfer and perimeter defence for tactical, land and marine based operations. Diegesis resells third party COTS products, own applications based on those products and professional services to help customers exploit them. Diegesis are skilled in integration, data analytics, situational awareness and risk management across many verticals, particularly defence and policing. Igence is a UK based company delivering Bespoke Software Development Services to the Aerospace, Defence, Energy and Transport sectors. The company has over 16 years’ experience of engaging with clients to understand their requirements, solve their complex problems and deliver high performance software solutions. Kopis Mobile is a US-based company that designs and manufactures mobile apps and app-enabled electronics for the military, law enforcement, and private security markets. Kopis products connect smartphones and tablets to video, communications, and back office systems within tactical environments. Luminact provides Project Management, Systems Engineering, and Commercial Contracts Consulting related services across the Defence, Critical Infrastructure, and Public Safety sectors in Australia. Luminact enables great people to do what they do best: innovate, and deliver results. 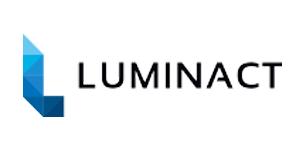 Luminact’s diversity of skills, wealth of experience,as well as strong emphasis on relationships and people drives a culture of accountability, continuous improvement, and ensures quality outcomes for our clients.